» Doors Open Day 2016 a Great Success! 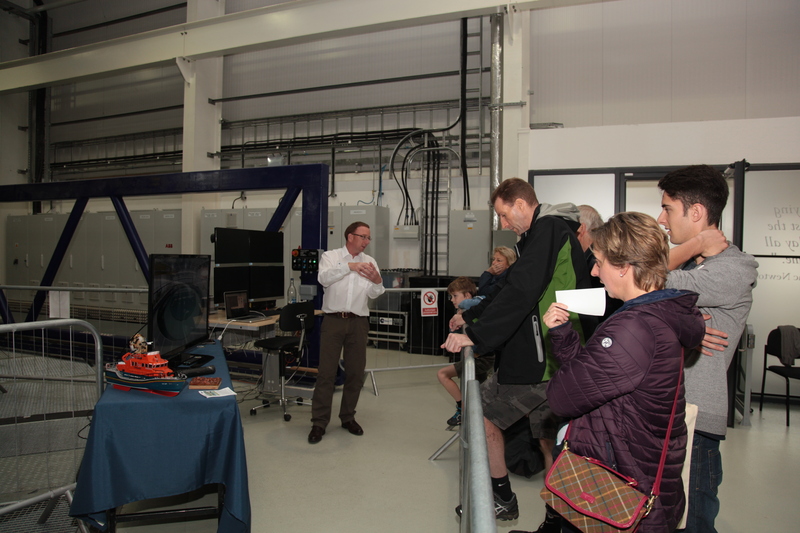 Doors Open Day 2016 a Great Success! 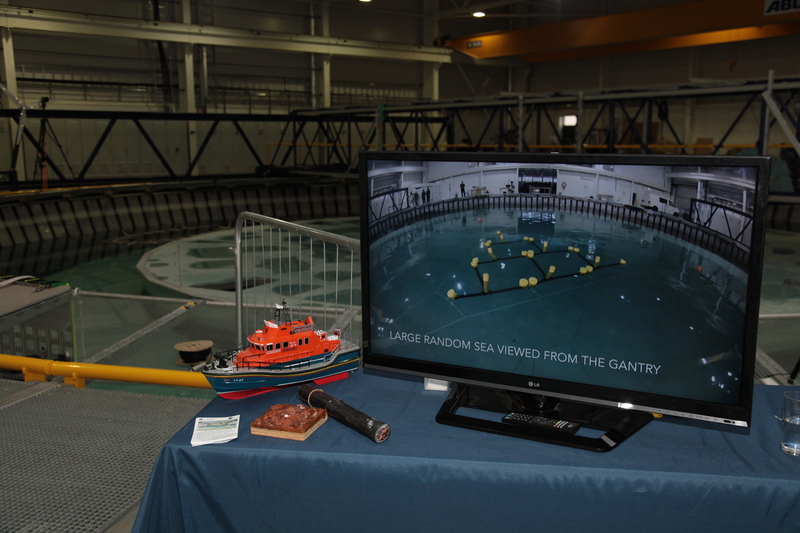 More than 300 members of the public and colleagues from near and far came to view the facility and hear about the great work FloWave carries out in support the developing wave, tidal and floating offshore wind industries. FloWave also supports academic research and had colleagues on hand to talk about their past, present and future research work in the sector. “For this year’s running of Doors Open Day we had the tank in maintenance mode while we resolved a small cable issue, and also took the opportunity to bring forward some regular maintenance scheduled for later in the year.” said FloWave CEO Stuart Brown. “As part of this we lowered the water level by around 400mm in order to reduce tension on the cables and make them easier to work with. This unfortunately meant that we weren’t able to run the display of ‘party tricks’ and realistic sea states that we usually show for visitors, but we hope we made up for that with presentations and one-to-one discussions with the team” he explained. Brown suggests that three evening events per year might be a good balance, and that dates for 2017 will be announced at the start of the year – most likely via this website and on social media. (The facility’s Twitter handle is: @FloWaveOcean). The maintenance work was completed after Doors Open Day and the tank refilled to its normal level. After final checks, client testing restarted on Thursday 29th September.